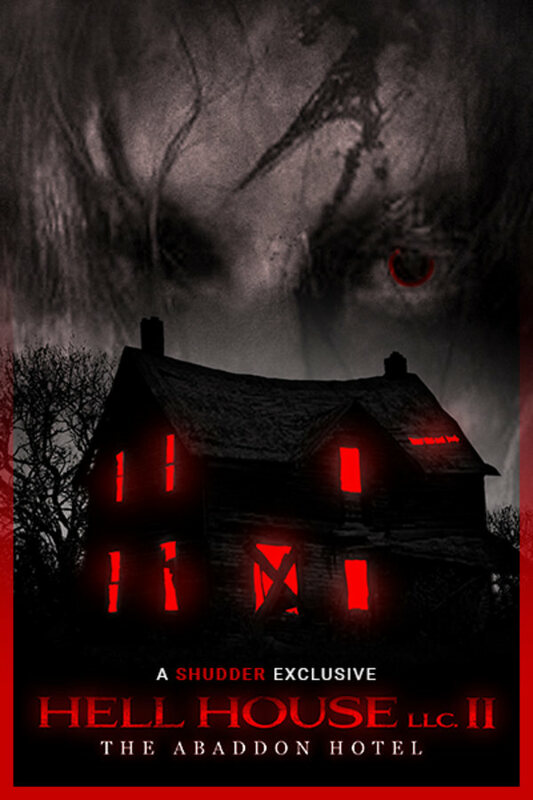 It's been eight years since the opening night tragedy of HELL HOUSE LLC, and still many unanswered questions remain. Thanks to an anonymous tip, investigative journalist Jessica Fox is convinced that key evidence is hidden inside the abandoned Abaddon Hotel– evidence that she thinks will shed light on the hotel's mysteries. She assembles a team equally hungry for answers with one goal in mind: break into the hotel and discover the frightening truth. A SHUDDER EXCLUSIVE. Overall, I liked it. I liked getting more info on the story (and can't wait for the final film in the trilogy in Oct 2019!) I liked the twist (no spoilers). I liked the cheesy green screen TV show set. I was really put off early on by the horrendous scene where we first meet the two journalist women that will go to the hotel. I turned to my friends and said, "Is this scene really bad on purpose?" I did enjoy the hopping back and forth through time as they parsed out bits of important information. And it did have several very tense, scary sequences. No, it's not better than the genius original, but it's a worthy addition.